Over the last few days we’ve moved on from Namibia and crossed the border into Botswana. This is where our tour group changes and we start the second leg of the adventure. Because the tour is so long sometimes G Adventures splits it up and we get different people half way through. Most of the group is staying, however the people that I’ve become closest to including my Germanator roomie have left. We lose 5 and gain four more. I pity the four newbies. With all our inside jokes it would be hard to start half way through. The running joke of our group is who will take care of me now that the Germanator is gone. Apparently I’m one hot mess who walks into disastrous situations, so the torch has been passed and a dude from Winnipeg has stepped up to look after me. I keep telling them that I get through life just fine every day at home but they don’t believe me. 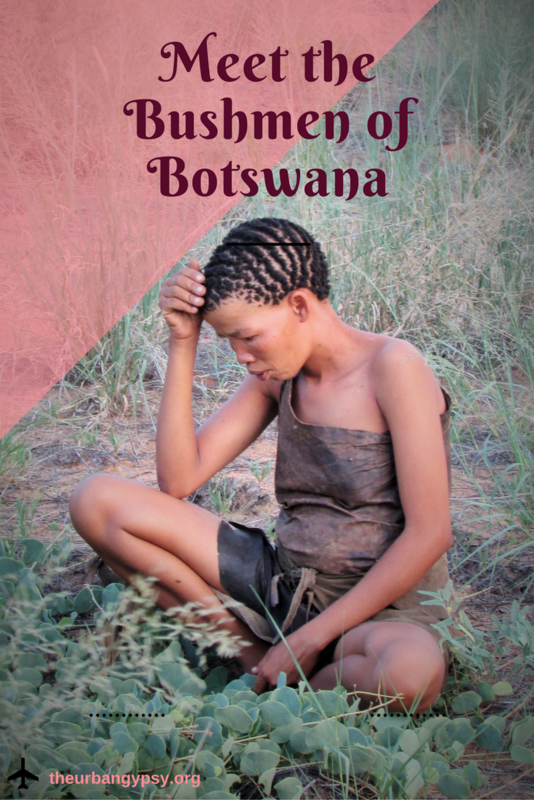 As we crossed into Botswana you could immediately feel the difference in countries. It’s much poorer here and instead of being in a relatively western style country you can tell it’s third world. Animals run everywhere and the ‘Kalahari Ferrari’ is driven among the cars. (It’s a donkey)!!! To be honest, I love this so much better. People on the side of the road stop and wave and it feels like the Africa I knew when I was traveling in Tanzania. The pace feels slower, and the people are friendlier. HIV AIDS is rampant here and they literally have a slogan that says ‘If you don’t play alone, cover your bone’. Love it!!! So today our stop is the Bushman Huts. Literally it’s just that. In the middle of nowhere there’s this place with about 15 stick huts. No need for a key because the door is a bunch of sticks wound together and you just move it out of the way (no hinges). Black mambas and pythons are regular visitors, but don’t worry – they give you a mosquito net. Ha! This evening we got to meet real tribal San Bushmen. It was such an amazing experience. They speak with ‘clicks’ and they are the tiniest little people. When introducing ourselves they place their hand on your shoulder and you the same. There was a translator and these sweet people had such a great sense of humor. They took us into the bush and showed us what roots and sticks they use for medicine and other ailments. It’s absolutely fascinating how these people have survived for all these years. What is a sad reality is that this tribe is quickly becoming obsolete. Just a few kilometers from here most of them were born and would hunt and live off the land. But in 1994, the government moved them from their land to a settlement. Because of international pressure the government does not allow them to hunt anymore. They have to buy their meat and live in a western way. Ironically the foreigners can come in and pay the big bucks to game hunt. So because the lack of hunting, these bushman are becoming something of the past. This is where traveling just opens your eyes like nothing else can. I love it! So I just experienced my first ride in a 6 seater plane. I got to go up for an hour flight over the Okavango Delta. At first you couldn’t wipe the smile off my face, but it soon turned into somewhat of a grimace as the motion sickness set in. Below us were tons of hippos and other wildlife but all I could do was look inside the inside of a barf bag. It truly was beautiful but by the end of the hour I had 3 barf bags full. You can dress me up, but can’t take me out.